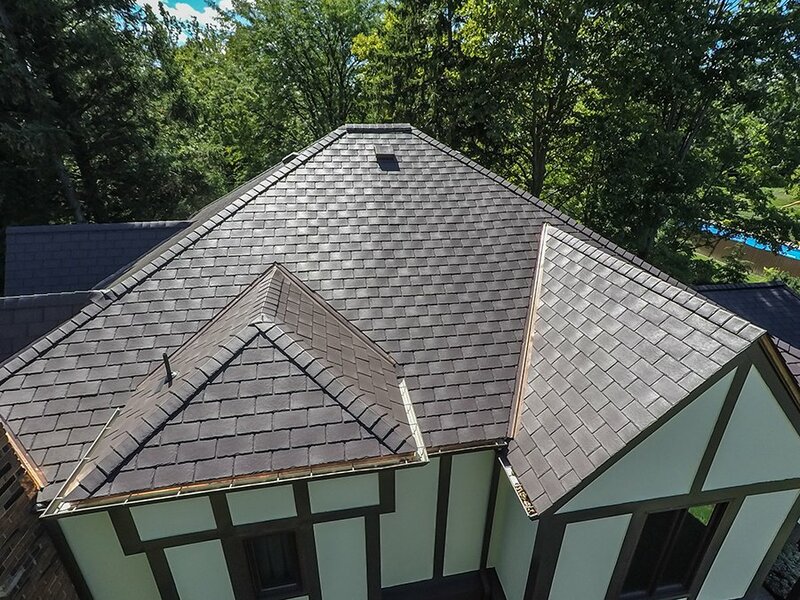 Originating in England, the Tudor style is one of the most recognizable home styles. Tudor homes are best known for steeply pitched, multi-gabled roofs and decorative half-timber framing. 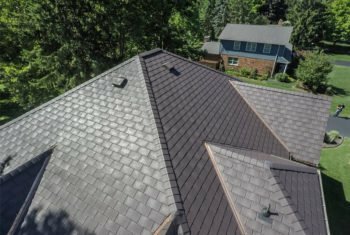 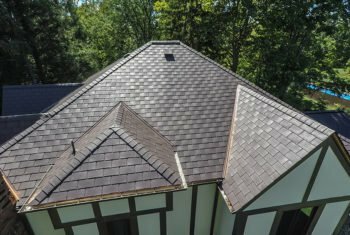 The steep-pitched roofs are perfect for rainy and snowy climates, which is why many of these homes can be found in the Midwest and along the East Coast. 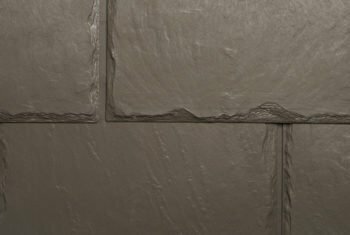 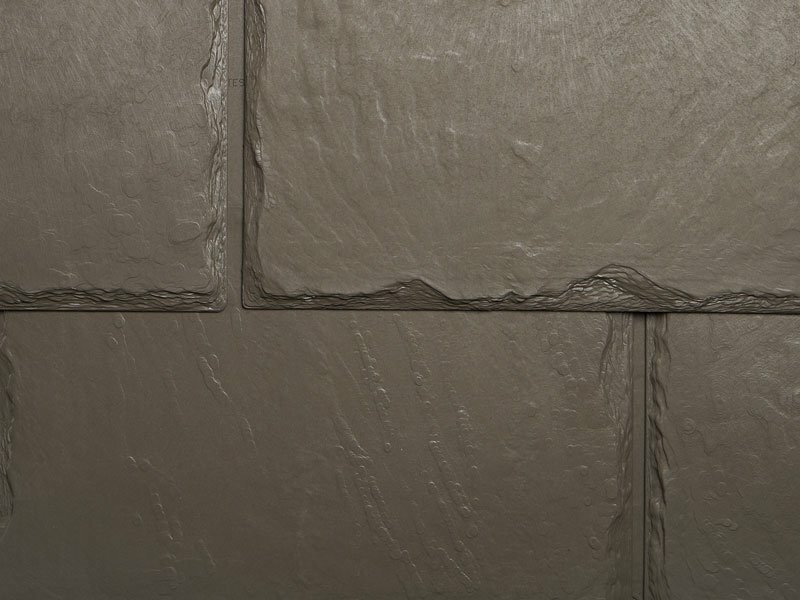 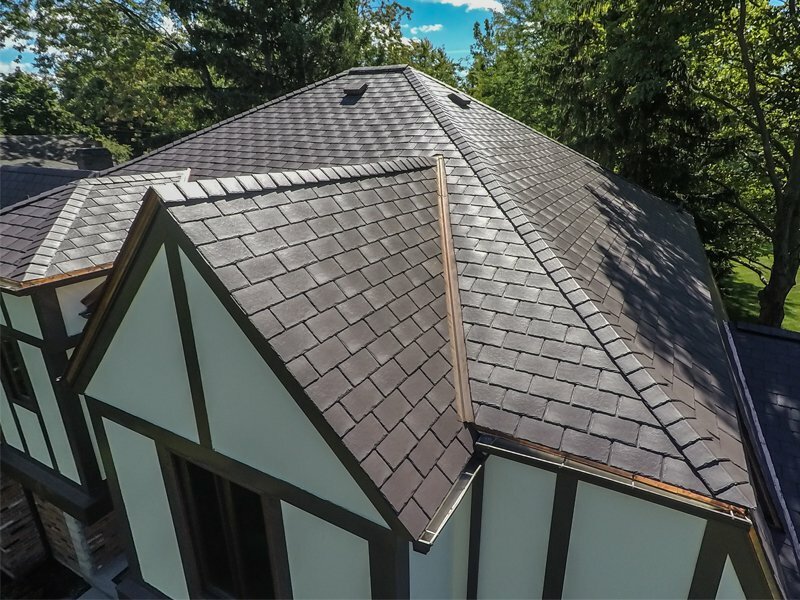 EcoStar’s Majestic Slate tiles are well suited for these climates, as they offer superior protection from the elements. 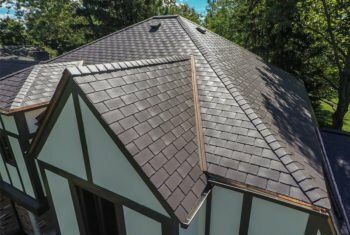 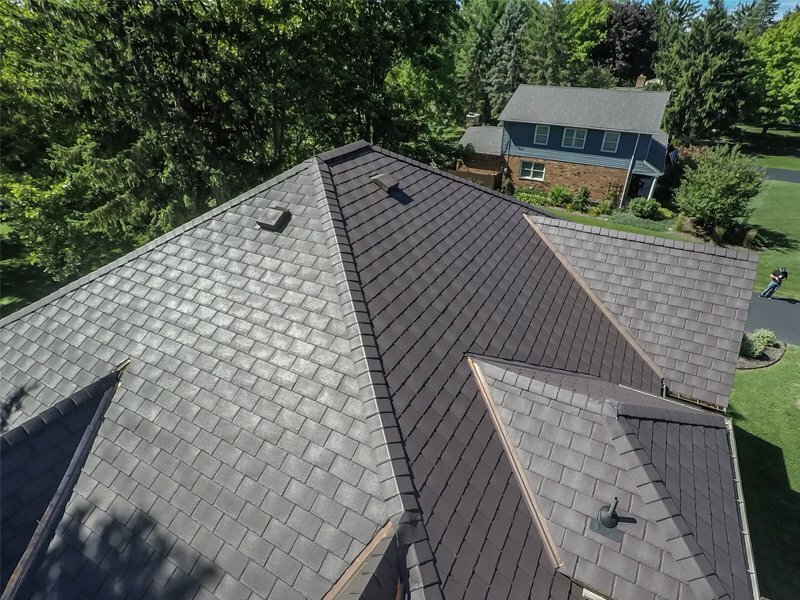 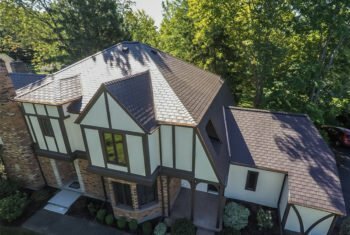 This tudor style home in Youngstown, NY features a Majestic Slate 12″ Traditional tile roof in Chestnut Brown.